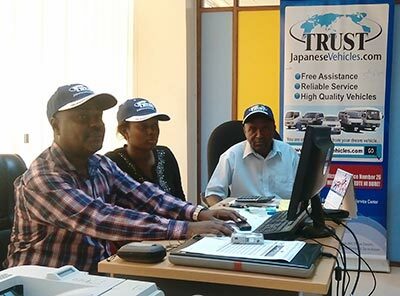 You can obtain direct support at our Customer Service Center in Dar-es-Salaam. I would like to thank you very much for your support. My vehicle Mitsubishi Pajero IO arrived safely with all items in place as per our agreement. I have attached a photo of my vehicle with me leaning against it. It is so nice! I will contact you shortly for another order. Dear all, Me and my boy tomas charles gao are very happy to have that car at home.here he is ready to be taken to school he doesn't want to board a school bus he wants a Mercedes Bentz.this cars condition is good as new very comfortable. Thanks to Trust and its management. I am very happy to inform you that my vehicle, RAUM of year 2003, arrived in Dar es Salaam. 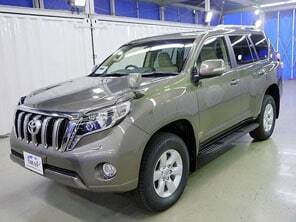 May I take this opportunity to salute you for being so honest and trustful from the start of car buying to the moment of receiving my car in Dar es Salaam. Really you are making your company's name famous. The car I received was really Grade 4 car: no seen scratches or dents, very clean, mechanically and electrically okay. 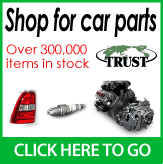 With the unique services I got from you, I will recommend your company to whoever wants to import a car from Japan! Keep it up guys, you are doing great in business. I wish to say thank you for the vehicle(FORD ESCAPE AND HONDA FIT) i purchased from your company(TRUST COMPANY) cars arrived as expected in good condition,deeply appreciate doing business with your company.Thank you in advance.